Are you looking for the easiest way to buy the mattress that will perfectly meet your needs? Perhaps you should look for your mattress online. There are a large number of online mattress retailers offering various types of mattresses, and Saatva has established themselves as one of the leading names in the mattress industry and as one of the largest online mattress retailers. The company was founded in 2011, and although they originally started out selling innerspring mattresses, they have since expanded their product line to incorporate environmentally-friendly latex and memory foam mattresses known as the Zenhaven and the Loom & Leaf. The Zenhaven mattress is a 10″ all natural Talalay latex mattress made up of 4 layers of 100% latex, with a unique flippable design which provides two different firmness options in the same mattress. 2 ” Comfort Layer – This layer is made up of 2″ of 100% Talalay latex with a unique 5-zone comfort layer that provides support for different areas of the body and a cool, responsive sleep surface. 3″ Support Layer – This layer is 3″ of denser Talalay latex, with an ILD (indention load deflection – a measure of firmness) of 25-29 when Luxury Plush is selected. This thicker layer under the top layer provides support and pressure relief. 3″ Support Layer – This layer is 3″ of firmer Talalay latex, with an ILD of 30-34 which, when the mattress is in the Firm setting, provides the firmer response from the latex with more push-back and a firmer overall feel. When in the Luxury Plush setting, this layer provides more support beneath the softer upper layers. 2 ” Comfort Layer – This layer is the same 2″ of 100% Talalay latex on the top layer of the mattress that when flipped over becomes the comfort layer. Click here for more details on the Zenhaven mattress layers. The Talalay latex that this mattress uses is the American sourced latex, and it is hypoallergenic and resistant to mold, microbes, and dust mites. It does not contain harmful volatile organic compounds (VOCs) or other chemicals as well. The cover of the Zenhaven mattress is made up of 100% organic New Zealand wool which serves as a natural temperature regulator. It is wrapped in a very soft and luxurious organic cotton and adds to the overall high quality and luxury feel of the Zenhaven mattress. The Zenhaven mattress, comes with two firmness options on the same mattress that can be adjusted simply by flipping the mattress over. Both sides have the same cover and comfort layer, but with different firmnesses: Gentle Firm and Luxury Plush. 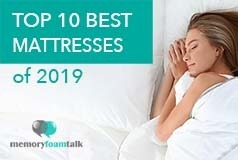 The Luxury plush side provides more of a “sleeping on top” of the mattress feel vs. a “sleeping down in” the mattress” feel typical for memory foam mattresses due to its latex construction, and it scores 5-6 out of 10 on the firmness scale, with 10 being the firmest. The Gentle Firm side of the Zenhaven mattress is markedly firmer than the Luxury Plush setting and it feels around a 7-8 out of 10, with 10 being firmest. 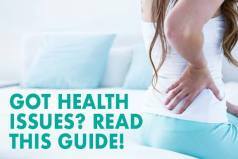 Both sides of this mattress provide enough give in the top comfort layers to support shoulders and hips and have the firmness necessary for back and stomach sleeping which makes it ideal for all sleeping positions. The unique 5-zone support system provides support in the areas where it is needed most, while the buoyant Talalay latex provides good contouring to your body and a nice degree of push-back. This mattress provides a perfect balance of comfort and support in all sleeping positions which is why it is so much loved by customers. The soft and supple Talalay latex used in the construction of the Zenhaven provides great body contouring, responsiveness, and comfort, while the soft organic cotton and wool cover contribute to its overall luxuriousness. The latex construction of the Zenhaven combined with the wool layer and organic cotton prevents the build-up of heat, keeps the mattress cool, and eliminates the feeling of stickiness usually present in full memory foam mattresses. It keeps you cool during the whole night and allows undisturbed and quality sleep. With the Zenhaven mattress, sinkage is reduced to the minimum, even on the softer Luxury Plush side, due to its 100% latex construction. It provides excellent support to heavier sleepers like my partner Andrew (230lbs) and prevents them from compressing the mattress and sinking into it when sitting or lying. Edge support is also good with this mattress as the edges do not compress when sitting or lying near them, and there is no feeling of “rolling off” the edges. As for motion transfer, there is some motion transfer present due to the all latex nature of this mattress, but it is significantly lower than in most other mattresses we have tested. The Zenhaven gets high marks in this category for not having any smell upon the delivery as the mattress does not arrive compressed in a box like other “Bed In A Box” mattresses. The all natural Talalay latex design of this mattress contributes to this. $99 White Glove shipping and setup of the mattress within your home. The Zenhaven mattress is priced higher than most other mattresses we have reviewed. It comes in at $1899 for a Queen, but this is quite a reasonable price for a mattress of such a high quality. Click here to read the full Zenhaven mattress review. Click here to buy the Zenhaven mattress at the best price. The Loom and Leaf, like the Zenhaven, offers two firmness options: the Loom and Leaf Relaxed Firm, scoring 6 out of 10 on the firmness scale, with 10 being the firmest, and the Loom and Leaf Firm, which is an 8 out of 10. This makes the Loom and Leaf suitable for people with different firmness preferences and different body weights like Andrew and myself. The 12″ thickness of the Loom and Leaf, its tufted quilted cotton cover that includes a 5/8″ foam layer, and the 6.5″ of specialty foams and the exclusive gel cooling layer included in its construction make this mattress a very comfortable one. Most memory foam mattresses lead to the retention of heat and cause a sweaty sticky feeling, but this is not the case with the Loom and Leaf. Like the Zenhaven, this mattress sleeps cool and eliminates any feeling of discomfort caused by a build-up of heat. 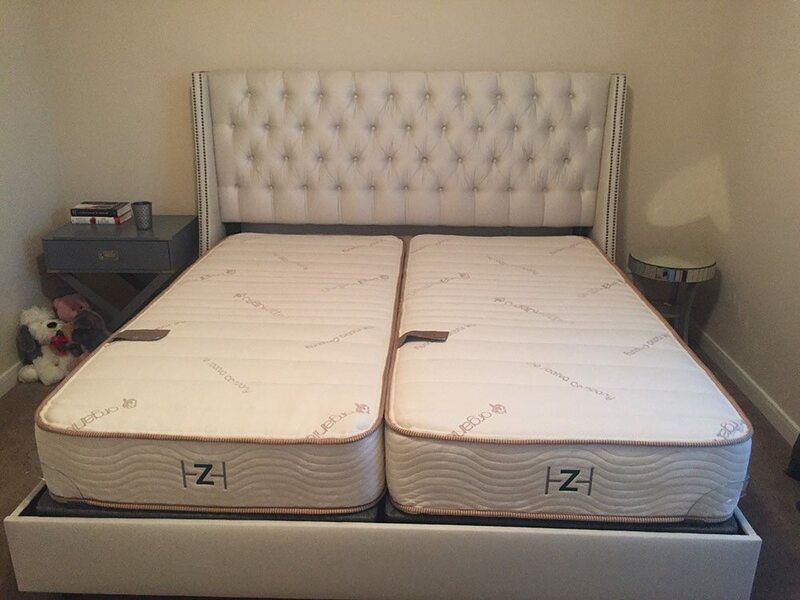 As for smell/off-gassing, it is non-existent with the Loom and Leaf mattresses just like with the Zenhaven as they are shipped uncompressed in their natural form, which is not the case with other online mattress retailers and their memory foam mattresses. 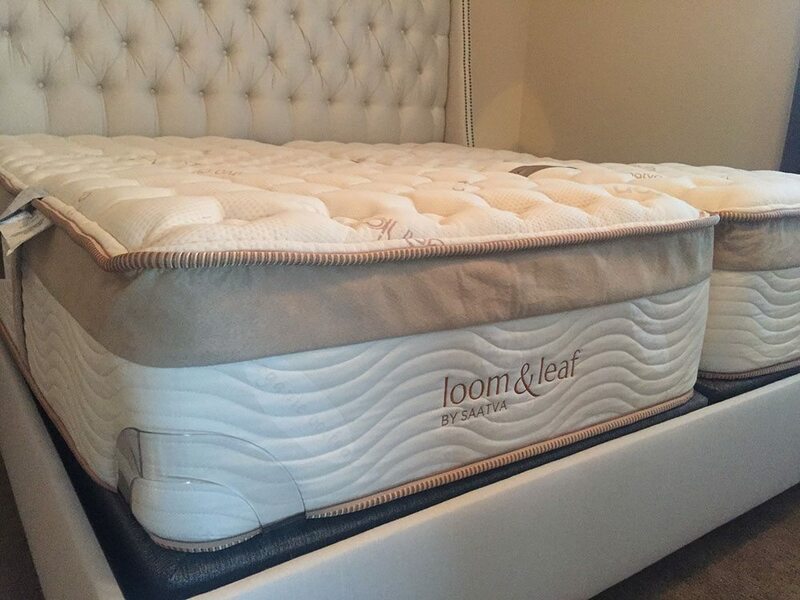 The price of the Loom and Leaf mattresses coming in at around $1100 for a queen is quite surprising given the exceptional quality materials used in their construction and the direct-to-home shipping and installation. 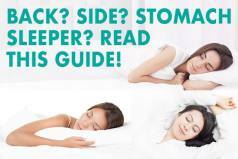 Below is our comprehensive side-by-side comparison of the Zenhaven vs. Loom and Leaf mattress. Flippable mattress – The Zenhaven comes with two firmness options, Gentle Firm and Luxury Plush, within the same mattress. They can be easily adjusted simply by flipping the mattress over. An all-natural mattress – The Zenhaven is made up of 100% organic cotton, wool, and natural latex. Therefore, it is an all-natural, eco-friendly mattress. Cool-sleeping mattress – The latex construction of the Zenhaven combined with the wool layer and organic cotton prevents the build-up of heat, keeps the mattress cool, and eliminates the feeling of stickiness usually present in full memory foam mattresses.